Reginald Mengi, who is a Tanzanian businessman, announced on 11th of February 2019 that one of his companies has collaborated with health experts from across the globe to set up the first stem cell research center in the country. He further stated that the the center will be constructed by IPP Research, Technology and Innovation Limited, one of his companies operating under the IPP Group of Companies. 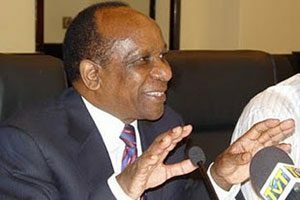 Mengi said a proposal for the licensing of the center is waiting for approval of the National Institute for Medical Research (NIMR). An international conference on genomic and proteomic and medical innovation was held in Tanzania which was attended by experts from countries such as Egypt, Vietnam, Thailand, the United States, and Nigeria. Deputy Minister for Health, Faustine Ndungulile praised Mengi for coming up with the idea to establish the center, saying the government will fully support him. Ndungulile has reportedly directed NIMR officials to fast-track the approval process. Mengi said construction of the research center is planned to start early next month.